The Democratic Party Is Fighting Over Its Future. How Important Will Defending Abortion Rights Be? It’s one thing to acknowledge that anti-choice Democratic leaders exist. It’s another to say that the party should welcome them to get back into the majority. 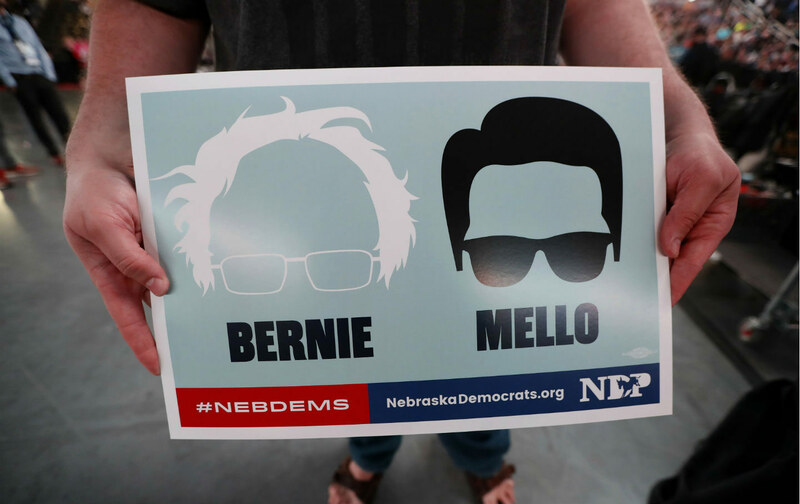 What made the embrace of Heath Mello by Perez and Sanders so maddening was the double standard involved. Most of the attention to Mello’s record has been about his support for a rather confusing 2009 bill, which, while imposing strict requirements on the positioning of the screen displaying an ultrasound, does not literally require that ultrasounds be performed before abortion. His supporters therefore construe it as a compromise position, but any bill that defines pregnancy as “conception,” a zygote as an “unborn child,” and has a long list of things that doctors must say and do to discourage women from ending their pregnancy is another brick in the legal wall against abortion rights. In any case, the rest of Mello’s record is indeed worse, and I’m not sure that simply listing all of the anti-choice bills he’s supported, as D.D. Guttenplan did in his article on TheNation.com last week, conveys the reality. Mello co-sponsored a ban on abortion after 20 weeks, the nation’s first, presaging a flood of similar legislation in other states. This means he accepts the bogus claim that fetuses feel pain at that age—never mind the research that shows they do not—and ignores the fact that later abortions are often due to severe fetal anomalies. Think about that: Mello supported a law that forces a woman to continue a traumatic pregnancy and give birth to a dying baby. He also supported a ban on telemedicine, which in a large rural state with only three abortion clinics seriously limits Nebraskan women’s access to medication abortion. He supported changing the state’s parental-notification law to require parental consent, allowing parents to force their child to have a baby. These are major attacks on women’s rights and well-being, and on the ability of doctors to care for their patients. The fact that Mello is a Catholic and acted out of religious conviction is not exculpatory, because it suggests that he put his own faith above the equally valid beliefs of others. If a Muslim or a Hindu or a Jew had tried that, he’d be finished in politics. Has Mello had a change of heart since then? Various media outlets and his own campaign have claimed that he received a 100 percent rating from Planned Parenthood in 2015, but Planned Parenthood Voters of Nebraska has issued a statement denying this. Since no votes on abortion have taken place in the legislature since 2011, we have no proof that Mello has changed his views. Nonetheless, his supporters, who include many local reproductive-rights activists, say that Mello has evolved: He supports family planning, has spoken out against defunding Planned Parenthood, and has said that, as mayor, he would “never do anything to restrict access to reproductive health care.” As Meg Mikolajczyk of Planned Parenthood Voters of Nebraska told me in an e-mail, “We hope Mello will keep his word but we can’t speculate on what he is actually thinking.” Still, the world is imperfect, and Mello has shown growth on the issue. If I lived in Omaha, I would vote for him. Why does abortion count as just “one issue” but not a $15 minimum wage? The larger question remains: How important are women’s rights to the Democratic Party and to the movement Bernie Sanders is leading? Why is abortion just “one issue” but not, say, a $15 minimum wage? Why is “corporate” a dirty word but not “anti-choice”? Nancy Pelosi recently said, “In our caucus, one thing unifies us: our values about working families.” It’s hard to see how restricting abortion serves that cause. As the waning influence of the Blue Dog Democrats has shown, even demographically that doesn’t make sense, because the party’s base is pro-choice women, and because the number of people whose only objection to the Democrats is their support for abortion is very small. What made the embrace of Mello so maddening was the double standard: Sanders had just cast shade on Jon Ossoff, the very pro-choice candidate running in Georgia, telling The Wall Street Journal that “I don’t know” if Ossoff is progressive (and adding, “Some Democrats are progressive and some Democrats are not”). A further wrinkle: In Kansas, James Thompson came very close to winning a House seat as a pro-choice Democrat, having gotten little help from either Bernie (Our Revolution gave him $900) or the party. Maybe the theory that pro-choicers can’t win in red states is a self-fulfilling prophecy. Mello supporters have pointed out that he is hardly alone in having a poor record on abortion rights. Hillary Clinton, despite her own strong pro-choice stance, chose Tim Kaine, who as governor of Virginia had supported several anti-abortion bills, to join her ticket. I should have been tougher on her for choosing him. As we learned during the presidential election, the cherry on top is that these “strategic” plays for white, male, southern, socially conservative votes don’t even work. It’s great that Mello has backed off his anti-choice position. But the fact that his record came as a big surprise to the national politicians who supported him tells you something about the lack of seriousness with which reproductive rights are regarded. Sure, everyone wants a big tent, but why are women the ones who get left out in the rain?